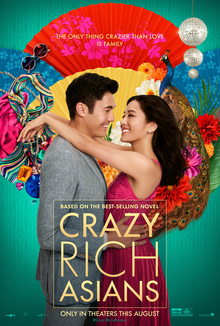 We were blown away by the demand for our viewing of "Crazy Rich Asians," with screenwriter Adele Lim. We are so sorry, but at this point the event is SOLD OUT of tickets. If you RSVPd, please pay ASAP. If you can longer make it that night please email Jennifer Hsu to release your ticket. That said, we hope you still go to another showtime on opening weekend to help make this film a success for the Asian American community. Price: $16.75. This event is now sold out.